Kia Sorento Performance, Engine, Ride, Handling | What Car? The sole engine available is a 197bhp 2.2-litre diesel. It isn’t especially flexible by modern standards, but it's punchy enough as long as you keep the revs between 2000rpm and 3500rpm; do this and the Sorento is comfortable climbing steep inclines and overtaking on fast country roads. Performance is a bit flat at low revs, but the Sorento is faster than rivals such as the Nissan X-Trail and Land Rover Discovery Sport. In addition to four-wheel drive, a six-speed manual gearbox is standard on every version. 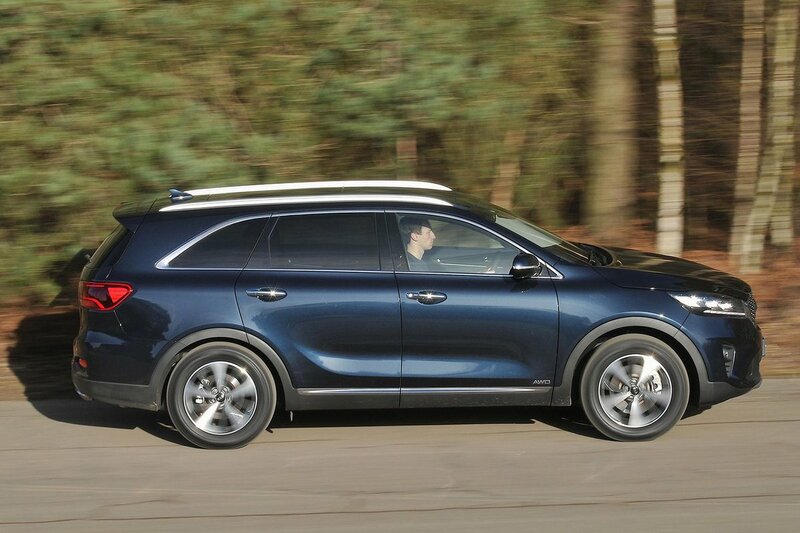 This has well-spaced ratios, but the shift is rather long and notchy, so we prefer the optional eight-speed automatic, which better suits the Sorento’s relaxed nature. It can be a bit unresponsive when you want to accelerate quickly from a standstill, however. Manual versions have a quoted towing limit of 2500kg, while autos are still good at 2000kg. While some rival manufacturers seem hell-bent on trying to inject sporty handling into their large SUVs, Kia has concentrated on what matters most to family buyers: a comfortable ride. 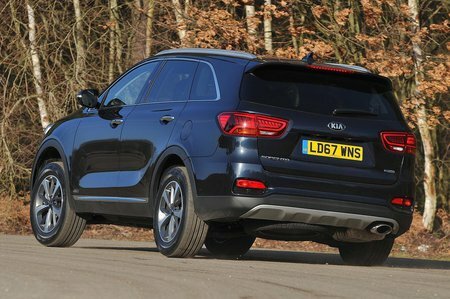 The results are generally impressive, because the Sorento’s relatively soft suspension soaks up bigger obstacles, such as speed bumps, very well and the car also lopes along smoothly on the motorway. Things are more unsettled around town – particularly in sporty GT-Line and GT-Line S versions, which ride on chunky 19in alloys – but a relatively stiff body stops sharp-edged ruts and potholes from sending too many shudders through the car. Even so, we’d stick to 18in or smaller wheels because they fidget far less. In order to achieve its comfortable ride, the Sorento sacrifices agility. Its body leans over quite a bit in corners, even at fairly moderate speeds. It never lurches around in an uncontrolled fashion, but the Discovery Sport and Skoda Kodiaq are much more nimble. The Sorento's steering is also vague and inconsistently weighted, so you’re never sure exactly how the front tyres are faring. This is especially noticeable at motorway speeds, where you have to make frequent small corrections to keep the SUV on the straight and narrow. At least the steering is light enough to make parking easy. Unless you rev the engine hard, you’re barely bothered by the noise it makes. 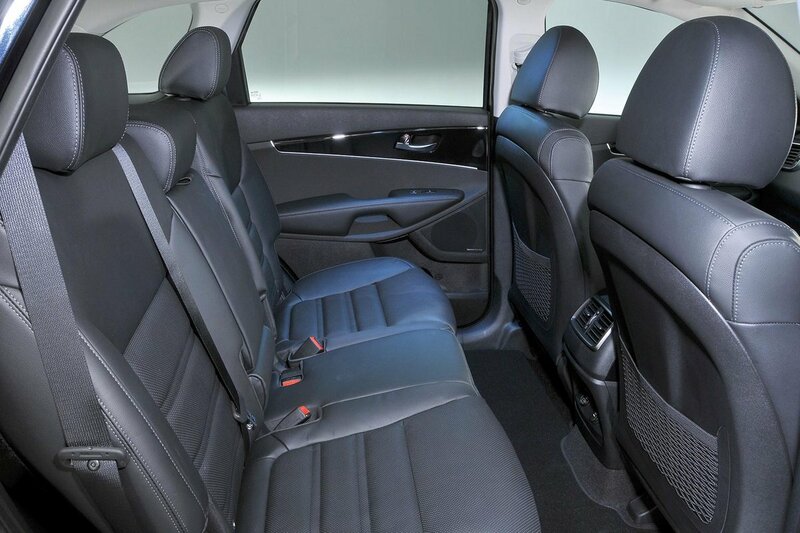 Likewise, you only feel vibrations through the steering wheel and pedals when you put your foot right to the floor. You do hear the sound of wind rushing past the chunky door mirrors, though. There’s also some road noise – particularly on versions with 19in wheels. Ultimately, the Sorento is a more refined choice than many of its seven-seat rivals, including the Nissan X-Trail, but not as hushed as some similarly sized five-seat SUVs, such as the Audi Q5.